ON THE CALENDAR: Lander is HOPPING in June – June 5-7, June 11-13! The 2015 Lander Brewfest will be held on Friday June 12th from 5-9pm and Saturday June 13th from 2-7pm in the Lander City Park, 405 Fremont Street. Tickets and more information about the breweries and program are available at www.landerbrewfest.com. The early-bird ticket rates are $25 for a one-day pass and $45 for a full weekend pass. Tickets can also be purchased day-of for $30/$50, giving 21+ age adults unlimited access to over 70 beers from our 25+ breweries that are coming from Wyoming, Idaho, Montana, Utah, and Colorado. “We are excited to be moving Brewfest back to City Park,” said Rose Burke, Event Coordinator of the Lander Chamber of Commerce. “In addition to the centralized and sheltered location, this year’s event will include vibrant music, excellent food, and interactive games such as Beer Trivia and the Lawn Game Olympics.” Burke adds, “And the event is open to all ages, so kids and non-drinkers are welcome for free.” Please note: as an all-ages event, Lander Brewfest coordinators require all minors be accompanied by an adult and to please leave pets at home. In addition to new programming, the 2015 Lander Brewfest will feature excellent live music. Friday night Spirit Family Reunion will close out the evening with foot stompin’ new-grass-blue-grass, hailing from from Brooklyn, New York. Saturday Jackson’s Chanman Roots Band will kick off the day with root jams and Eugene, Oregon’s Sol Seed will rock out the evening with an eclectic reggae and root vibe. Lander Brewfest is also hosting Wyoming.com “Golf with the Brewers” 9-hole scramble at the Lander Golf Club, Saturday June 13th from 9am-12pm. “We have 30 of our brewers signed up and most of them are bringing some of their brews to share,” said Burke. “It should be a fun opportunity to play golf, talk with the brewers, and play golf.” Tickets are $30, available online. Brewfest is partnering Saturday’s events with the Fremont Area Road Tour, a road bike race for all ages, levels, and distances beginning and ending at Lander City Park. June 1st is the deadline to register for the “Bike and Brew” packages: www.landercyclingevents.org. The 2015 Lander Brewfest is presented by Fremont Toyota and sixteen additional partnering sponsors and organizations. Please thank these businesses by supporting them with your patronage. The Lander Running Club is excited to announce the first ever Sinks Canyon Rough and Tumble Trail Races to be held this Saturday, June 6th! The race will be held in the spectacular Sinks Canyon on the Shoshone National Forest, starting and finishing in Bruce’s Parking Area. 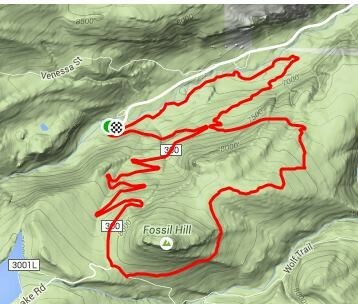 “With two race distances of 4 and 11 miles, the runs promise to challenge runners of all inclinations and abilities; both include hill climbs, swooping smooth singletrack, and technical running,” said Evan Reimondo, co-founder and coach of the LRC. “These runs feature new, world class trails in the foothills of the Wind River range, and we truly believe they will become classic trail races.” said Amber Wilson, also co-Founder and coach of the running club. The Lander Running Club was founded in December of 2013 by Evan Reimondo and Amber Wilson shortly after they transplanted to Lander following their graduate studies at NAU in Flagstaff, AZ where they both enjoyed the sense of community, encouragement, and friendship that came with participation in the local running club there – Team Run Flagstaff. “This was an attempt to bring that sense of running community with us to Wyoming, and we’re very excited to see it growing and becoming pretty successful,” said Amber. The Lander Running Club hosts a weekly track workout on Wednesday nights and group trail runs on Saturdays along with a growing series of races year-round. Membership in LRC is free and open to the community. Runners of all ages and abilities are welcome. For more information about the Lander Running Club or to sign up for the group’s once-weekly newsletters detailing weekly group runs and upcoming running events, visit landerrunning.blogspot.com, visit and “like” LRC on Facebook at facebook.com/landerrunning or email Evan and Amber and landerrunning@gmail.com. Race day registration starts Saturday, June 6th at 7am in Bruce’s parking area. 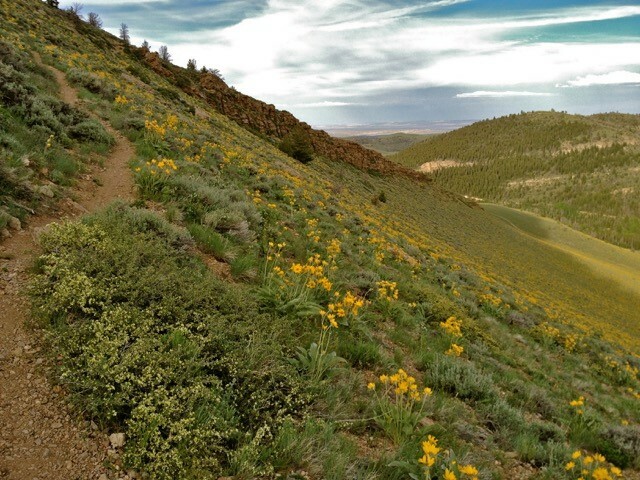 The Sinks Canyon Rough and Tumble Trail Races have permit approval from the Shoshone National Forest, and are sanctioned by the USATF. “Bear Spray 101 How to avoid bear encounters, the proper use of bear spray and how to defend yourself during an attack,” Fourth program in the Wyoming Community Bank Speaker’s series at the Dubois Museum in the Dennison Lodge June 11, at 7 p.m.
Bear Spray 101: How to avoid bear encounters, the proper use of bear spray and how to defend yourself during an attack. A program on Bear Spray 101 will be presented June 11 at 7 p.m. at the Dennison Lodge in Dubois. The program is the Fourth in the Wyoming Community Bank Speakers Series at the museum. The series will feature speakers and programs on the area’s culture and history at all three county museums throughout the summer and fall. The programs are free and open to the public. The program, led by Brain DeBolt, the Large Carnivore Conflict Coordinator with the Wyoming Game and Fish Department. The next speaker through the Dubois Museum will be at the Dennison Lodge July 9, 7 p.m. and will be a program by Mark Thompson sharing his story of life in the Dunoir Valley. This will also be a great opportunity for others to share their stories of Dubois in the past. First program in the Wind River Visitors Council Trek Series at the Dubois Museum Saturday, June 13 at 8:30 am. Bruce Thompson and Sally Wulbrecht will lead the trek. 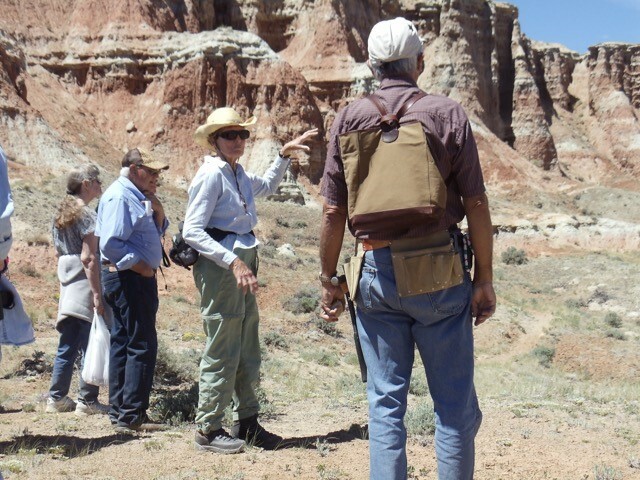 The trek will investigate what the rocks, plants and animal tracks have to tell us about life in the badlands canyon. 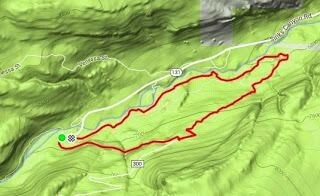 Bring a lunch, plenty of water and dress for hiking on rocky trails. The trek is free and open to the public. Meet at the Dubois Museum at 8:30am. Please call the Dubois Museum 455-2284 to register for the program. This program is the First in the Wind River Visitors Council Trek Series at the museum. This series will feature treks on the area’s culture and history at all three county museums throughout the summer and fall. The next activity will be a Wind River Visitors Council Trek Series through the Dubois Museum on Saturday, June 20, 9 a.m. to the Torrey Basin Petroglyphs, Limit of 12 people so call now to reserve your spot.